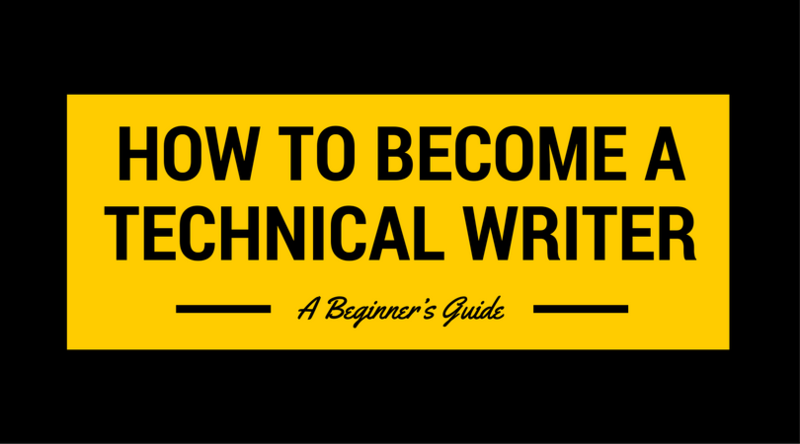 So, what is involved in technical writing, and how can you become a technical writer? Technical writing is not just about understanding technical information and recording it in a document. Technical writing takes high-level information and processes it into digestible content for a specific audience. This article will outline and define the technical writing process, best practices, and steps to launch your technical writing career. This writing style covers any type of text that aims to explain detailed information. A technical writer communicates in a way that presents technical information so that the reader can use that information for an intended purpose. Technical writing has a clear, direct and neutral style. The text should present the information in the most professional and accessible way possible. Technical writing is used anytime technical information must be conveyed by text. The text will explain the scientific or specialized details and guide the reader in how to use that information. Due to the high-tech nature of workplaces and day-to-day life, technical writing is increasingly common. Technical writers have the great benefit of becoming lifelong learners. In order to communicate the content, you must be (or become) well-versed in that field. Therefore, with each new technical document, you will become an expert on that subject. While the reader does not need to know all the details, you need to have a depth of knowledge to select just the crucial elements to include. A broad understanding will ensure that the text is accurate and communicates the necessary data most efficiently. According to the US Bureau of Labor Statistics, the demand for technical writers is projected to grow 10 per cent from 2014 to 2024. Employment growth in this field will exceed the national average for other occupations due to the continued increase in scientific and technical products. There are many professions that require strong technical writing, such as financial services, manufacturing, energy, consulting, medical business, and engineering. Technical writing isn’t limited to these domains. In the information age, being able to provide clear instructions or information for the intended audience is more important than ever. Technical writers work in software, consulting, academia, government, broadcasting, transportation, energy, telecommunications, health, security, publishing, and the list could go on. It may surprise you to discover that the technical writing process can take just as much (or more!) time to plan and review than to write. The planning phase sets you up for success, and makes your writing time more effective. The review phase is essential to ensuring your document is technically accurate and audience accessible. Before you start to type one word, there are crucial preparation steps that will define your document. If you start writing and then try to edit your way into a usable technical document, you will only cause yourself headaches. Start smart by preparing first. Use the following technical writing process to best develop your documents. The project planning process begins when the technical document is requested. This step may be initiated by an employer, colleague, or client. (For ease of reading, the person who requested the document will be referred to simply as the client in this guide.) With the request, the initial requirements are defined: document type, subject area/content, goal, scope, and audience. Not all of these important aspects may be clearly defined at first. Sometimes, your client might not even be sure of their own requirements! A guided conversation about the document is invaluable to ensure that you as the author understand the project. Through thoughtful questions, you can pull out this information so the project is clear and well-planned from the start. After the initial project planning with the client, the biggest writing factor is the audience. The audience is always at the forefront of the technical writer’s mind. The reader defines the text. Generally, the technical information does not change. The only thing that changes is how those facts are conveyed. A good technical writer revises the text based on the reader’s context. In order to know who you are writing for, you have to gather as much information as possible about who will use the document. It is important to know if your audience holds expertise in the field, if the topic is totally new to them, or if they fall somewhere in between. The audience will also have their own expectations and needs. You must determine what the reader is looking for when they begin to read the document. The reader’s goal will guide the entire writing process, as the document should fill their needs and answer their questions. For example, if you are writing a financial proposal for a pilot R&D program to remotely control home heating from a smartphone, your audience might be an executive deciding the next year’s company budget. In order to properly prepare the technical proposal, you need to know the executive’s knowledge of the research area. In addition, it would be beneficial to know his or her top financial concerns, the business factors that are normally used in decision making, and the timeline. This executive audience is totally different than the end-user of that remotely controlled home heating program. Perhaps the R&D produces a new software to remotely control home heating from a smartphone. The audience, in this case, is reading the software user manual. As the writer, you need to understand what the average, unfamiliar user of this software knows about using their smartphone and their home heating system. You need to know their initial questions, the likely problems, and most effective solutions in order to write a useful document. These examples share the same technical information. However, they have two very different audiences and therefore produce two very different documents. Once you’ve answered these questions, only then can you start to prepare the document. User experience is just as important in a technical document as it is for a web shop’s mobile usability. Now that you know your audience and their needs, keep in mind how the document itself services their needs. There can be a tendency for experts to craft a document that shows their depth of knowledge and to compile it in a way that is appealing for their own peer-group. It’s an easy mistake that ignores how the actual reader will use the document. As you prepare, continuously step back and view the document as the reader. Ask yourself: Is it accessible? How would they be using it? When will they be using it? Is it easy to navigate? Always write a document that is useful to the user. With the document request and audience clearly defined, you can then conceptualize your document. Technical information is complex. A lot of factors need to be considered, but not all will be included in the final product. While there are various ways to process all this information, we recommend developing it in a mind-map. With a mind-map, you can include a wide range of information, highlight relationships and have a high-level, visual overview before you start writing. A handy, free tool to create your mind-map is FreeMind. The video below will quickly show you how to use this. No matter which tool you use, make sure that it is easy to use. The goal is to record your brainstorm quickly, not get bogged down in attractive but bulky features. This phase will also highlight areas that are not familiar to you and require more investigation. Highlight any topic areas that you need to research before writing. No technical writer knows every technical detail. Consultation with specialists is critical. Experts will provide additional or parallel information that will make the information more useful to the end reader. They may be colleagues, client contacts or external experts who are authorities on your topic. Engage with subject matter experts early in the process. Maintain contact throughout because they can add value at different stages, especially during the review. Technical reports are written to provide information, analysis, instructions and/or recommendations. These reports provide the reader with enough background on a topic to be informed and potentially make decisions. Example: a technical report on one phase of a company’s manufacturing process. The report includes information on how this phase impacts the product, the process itself, and recommendations for optimization. Emails are a brief form of communication, which vary depending on the goal. Generally, they intend to share information, with a potential additional use to persuade or instruct. Example: an email written to all employees with an update on human resource policy changes. Technical proposals provide an introduction to a new project. It describes the purpose, the planned phases or tasks, methods to be employed, expected results and benefits, and a budget. A proposal acts as an outline for the project if accepted. Proposals do not necessarily need to have a budget, as it may propose cost-free changes. Examples: a technical proposal from a franchisee to a retail company to open a new location. The proposal includes real estate details, renovation and operations plans, revenue expectations, and project costs. Specifications are a detailed outline of the structure, design, materials, packaging, and standards of a product or process with a level of detail that allows an external party to construct or reconstruct it. Example: an architect provides specifications for construction of a house to a building contractor. Technical specification datasheets provide the technical features, characteristics with a level of detail that allows an external party to include it within another system. Example: a computer manufacturer provides a technical specification datasheet for a personal computer with detailed information on its operating system, ports, and compatibility so that a customer can connect the computer to their company’s network. Guides and handbooks are references or sets of instructions in a form that is quickly accessible. Example: the MLA Handbook provides a quick reference guide for a defined research writing style. A Standard Operation Procedure (SOP) is a collection of step-by-step instructions, normally for workers, to complete routine processes. A SOP aims to increase consistency, quality and compliance of repeat operations. Example: laboratory employees use a standard operating procedure to complete potable water analysis. At long last, you can start to write! By going through this thoughtful planning process, the writing will be easier and more efficient. The active voice is easier to read and understand than the passive voice. Whenever possible, choose the active voice in your sentences. In active voice, the subject of the sentence is the doer of the action. Passive Example: The electricity meter is read six times a year by a trained technician. Active Example: A trained technician reads the meter six times a year. Choose your words thoughtfully. Use the best word for the context. Include necessary details that make the text understandable and precise. Avoid overusing pronouns such as ‘it’ and ‘this’ as the reader may have difficulty identifying the antecedent. Example: If the light flashes, then initiate a hard restart by pressing the power button. Improved: If the red light flashes on the monitor for more than ten seconds, then initiate a hard restart by pressing the grey power button. Many technical documents provide instructions to the reader. Therefore, a task-based approach makes the content easier to understand. When writing, consider the order of the steps in the process. This flow provides a natural guide to your writing. The correct answer is option number one, assuming the document focus is sales. While options one and three both lead with sales, option number one is better because the first word is sales and the modifying verb is more precise and direct. Learn more about direct sentence structure below. Always put the most important information in the main clause. The reader will better digest the priority information. Example: Researchers indicated preliminary concerns, yet the antibiotic trial was successful. Improved: The antibiotic trial was successful, despite the researcher’s preliminary concerns. Be brief. Combine sentences or eliminate unnecessary words in sentences to make the text as concise as possible. Technical writing must be clear and direct, so there is no need to add color or complexity. Example: It is of the utmost importance to drain the water pump after each usage. If not drained, the pump will corrode. Improved: It is important to drain the water pump after each use to avoid corrosion. Example: Q1 had lower than expected sales due to political instability in the region. Improved: Sales for Q1 declined because of political instability in the region. Jargon is a trap for a technical writer. If you’re an expert in your field, it can be easy to use jargon familiar to your topic or office, without realizing that it may be confusing to other readers. A non-expert may use jargon as an ill-intentioned effort to appeal to experts. Don’t fall for this trap. Jargon should be avoided and only used when appropriate for specific audiences. When using unfamiliar or technical terms, define the term when used for the first time in the text. When using abbreviations, write out the complete term followed by the abbreviation in parentheses for its first use. These definitions act as in-text reference points for the unfamiliar reader. Example: The WHO provides clear directives on the use of malaria medication. Improved: The World Health Organization (WHO) provides clear directives on the use of malaria medication. Plain language has its own set of international guidance. The main takeaway is to write in a way that any reader can understand the text. Using fewer words or more basic versions of words will communicate the same meaning to your reader while being more accessible. Example: At the present time, our research focuses on the utilization of the drug to completely eliminate measles. Improved: At present, our research focuses on the use of the drug to eliminate measles. While the heart of a technical document is its text, the visual display should not be forgotten. A wall of text is difficult to read. Even the clearest instructions can be lost in a document that has poor visual representation. Thoughtful formatting, templates and images/diagrams will make your text more helpful for your audience. The style of the technical document carries over to the formatting stage. The formatting should be clean and professional. Well-chosen, readable fonts, sizing, and layout will assist the reader in understanding the text. Larger documents should consider a table of contents, sections, and the inclusion of appendices to best structure the information. Many companies and individual technical writers rely on templates for technical documents. Templates should be developed for clarity and with the audience in mind. Once developed, templates save time and provide a previously approved style guide. For repeat projects, developing a template (or asking if your client has a preferred template) can be beneficial. They say a picture is worth a thousand words. This phrase rings true even in technical writing. However, not just any image is worthy of a technical document. Technical information can be difficult to convey in text alone. A well-placed image or diagram can assist the writer’s explanation. The image should be directly relevant and be clearly referenced in both the text and in an explanatory caption. Images used for decorative purposes should never be used within a technical document. They are distracting and do not maintain the clear, neutral style. For a deeper discussion, read our post on Graphics for Technical Writing. Good writing of any type must be free of spelling and grammar errors. It’s obvious but not always easy, especially with lengthy documents. We recommend running your text through both of these programs to double-check your text’s correctness. These checks should be run first, followed by a thorough review with your own eyes. Software cannot grasp all contexts or inconsistencies. In this review, reading potentially challenging passages aloud will test if they are accessible or awkward. Once the text is linguistically correct, you’ll need to ensure it’s also technically correct. Step back from the document and return to it in the mindset of the intended audience. If your document is a user manual, use the instructions to operate the product. If your document is a new business proposal, read it as your client with their priorities in mind. With your personal review complete, the document should be reviewed by others. The reviewer could be a peer, a supervisor, or a subject matter expert. This review cycle will vary depending on the company or client. A common process follows a first draft, revised draft and final draft/version of the document. Each review will refine and improve the document. Therefore, a lengthier or more critical document will require additional rounds of review. This review process is also valuable to you as a technical writer. External feedback will improve not only the current text but also your writing in the future. Good writing is a process. Reviewing, revising, editing should not be afterthoughts, but carefully included steps in your technical writing work. A CV is a technical document. There is no better place to start applying your technical writing skills. Follow the style guidelines for technical writing and highlight your career and accomplishments. Do you need a degree in technical writing? No! While there are many valuable programs in this discipline, there are no direct requirements for a degree or diploma. Practical experience and a writing portfolio will be just as useful to winning jobs or impressing employers. Don’t wait for your first technical writing assignment to build your portfolio. Practice this style by creating new documents for existing programs or projects. Is there a productivity app that you love to use, but its documentation is poorly written? Write your own and share it online for feedback. Has your office been dreading the preparation of the annual office health and safety report? Practice your technical writing skills to prepare this report while becoming the office hero. Each of these documents will make an excellent addition to your technical writer’s portfolio. As this field is growing, there is more information about its earning potential. When you plan your freelance contracts or your annual review, it’s important to know the value of a technical writer. The US Department of Labor reports that the average salary for a technical writer in the US in 2016 was $69,850 or $33.58 per hour. Most technical writers chose a focus area for their work. The more you define your niche, the clearer your ideal client or employer will be. Choosing an industry is an important first selection step. The technical documents in finance are quite different than those in pharmaceuticals or tourism. It is possible to write for multiple industries, but you will be most effective if you select a field that suits your interests and your experience. Technical writers can be either independent freelancers or in-house employees. Freelancers work for a range of clients to prepare their technical documents. As a freelancer, you can choose your clients and subject areas. In addition, freelancers are in charge of their own business and working hours. With a growing need for technical writing and online freelance platforms, there are lots of contracts available for both new and experienced freelancers. In-house employees provide their skills to one company either as a full-time technical writer or as a technical staff with writing responsibilities. Full-time technical writers work with subject matter experts in the company to develop a range of required documents. Companies generally prefer that in-house employees have technical writing skills because those employees often know the technical details better than anyone else. They are the subject matter experts! The ability to communicate this expertise in writing is very desirable to employers. There is a big advantage for technical employees, such as engineers and analysts, to add technical writing to their skillset. Communication is a challenge for many companies. It is difficult to make the best business decisions without clearly communicated information from the technical departments. An employee who can bridge the gap between technical and business will be of great value in most companies. Of course, your professional network is likely a good source of technical writing opportunities. As an in-house employee, discuss your interest with your supervisor and offer your writing skills during project planning meetings. Technical writers are always learning. By diving into new subject areas and receiving external feedback, a good writer never stops honing their craft. To have additional educational gains, there are many courses available. Off-line courses in technical writing are available at many community colleges or technical schools. Online, there are free and paid resources available for refining your technical writing. For example, Wikiversity has a free wiki-based course on technical writing. We offer an instructor-guided online technical report writing course to improve technical writing. This course is a practicum; you will build an actual technical report during the course. Of course, good writers are also voracious readers. No, technical documents don’t make very exciting reading, but by reviewing highly-read or highly-used documents, your own writing will improve. Professional associations signal a level of competence and offer a range of professional development and networking opportunities. Currently, the largest technical writing association is the Society for Technical Communication and the paid membership level depends on years of experience in technical writing. Technical writing is a prized and profitable skill. It is a valuable title whether you are interested in making a career shift or adding this ability to your current role. Remember, any employee who can convey technical information at work is very valuable to a company. Skill in technical writing is a real career boost. To become proficient in technical writing, follow this guide to start planning, writing and reviewing. Becoming a good technical writer is not an overnight process, but a rewarding investment into your communication skills and career.